Hornby BR 2-8-2 '7224' 72xx Class - Late BR. 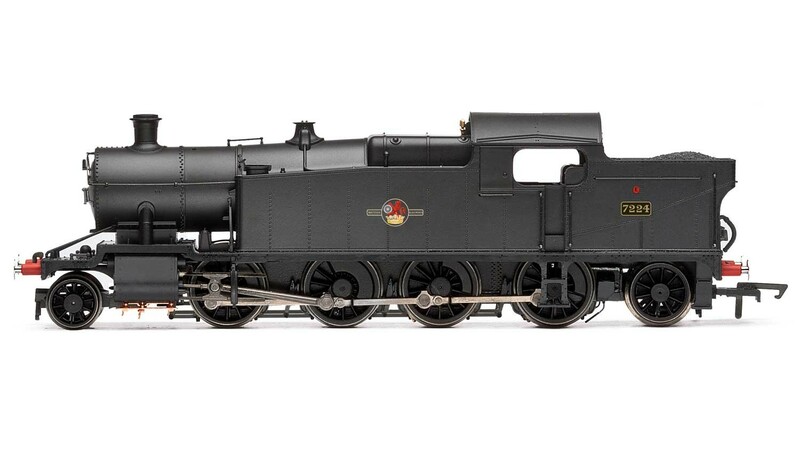 Class: 72XX, Designer: G. J. Churchward, Entered Service: 1934, Number Built: 54, Purpose: Heavy Coal, Wheel Configuration: 2-8-2, Dimensions: 180mm, Motor: 3 Pole with Flywheel, DCC Ready: DCC Ready, Livery: BR, Detail: Exterior Details, Finish: Pristine. Special Features: NEM Couplings, Cab detail.